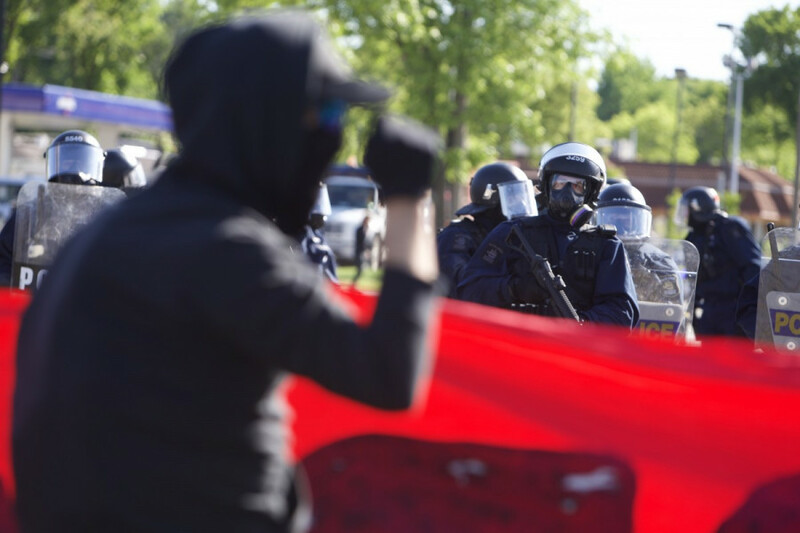 QUEBEC– Quebec City was put on hold today as protesters came to disrupt the annual G7 Summit, where leaders from seven leading countries are meeting to discuss world economy, gender equality and the environment. By the end of the day, Quebec City police reported that seven protesters had been arrested over the day. Police said six were arrested for engaging in illegal protest, and said the last was arrested for obstructing an officer from doing their job. 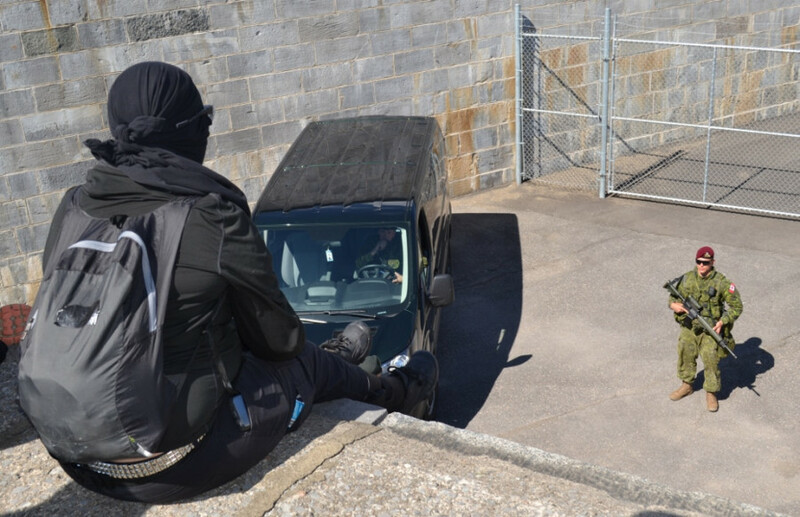 In the morning about 100 anti-G7 protesters came to Beauport, just kilometres away from downtown Quebec City, and stationed themselves on Sainte-Anne Blvd in an attempt to block roads so less people could travel towards Quebec’s Charlevoix region, where the summit is underway. “We are here to cut bridges with the circus taking place today in La Malbaie,” yelled one protester from a megaphone. 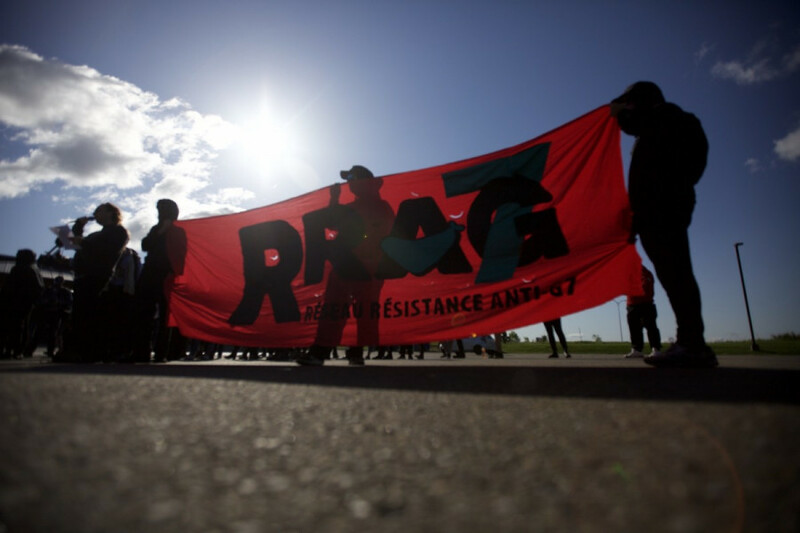 The morning protest was deemed illegal 15 minutes in, as protesters failed to give police an itinerary of their protest. It seemed at points that police might kettle the crowd that refused to get off the street, but police eventually retreated after about an hour. Some protesters threw coins at the police who asked them to get off the street when the protest was deemed illegal, though protesters overall remained peaceful. “We want to leave but we can’t! You’re incredibly stupid,” yelled one protester when the police surrounded the crowd. Since many shops, schools, daycares and the National Assembly were closed amid security concerns protesters described their efforts from yesterday and this morning as successful. Others said they were satisfied they were able to block a large artery for an hour. Many, like one student from CEGEP du Vieux Montréal, say they came because they hope to build connections with others who want to live in a world free of capitalism. “[G7 leaders] only represent their own interests and the interests of big companies,” the unnamed student told The Link. Later on in the afternoon protesters marched down Honore-Mercier Blvd., a street close to Place D’Youville, where they set a sofa on fire. Police soon extinguished the fire. The police declared the protest illegal and dispersed onlookers. While protesters and journalists were being dispersed, police officers pointed their blunt impact projectiles at reporters taking photos. Soon after some media were ambushed in an alley and were not allowed to leave for about 15 minutes, while police continued to patrol the area. Things died down after protests were declared illegal and a crowd was dispersed at the Plains of Abraham, close to the National Assembly. One EPA reporter was pushed down a hill by police in the dispersion. Police didn’t cite any infractions in their announcement. One medic addressed officers, saying the government shouldn’t be wasting money on the G7 Summit when there’s not enough for social services. “I’m doing this for my daughter, my family. You’re just doing this for your pay! And you call us anarchists!” she yelled, while officers looked on without response. After the protest ended, a van of officers arrested protester acting as a medic on the corner of Taché and Grande-Allée. Six officers took part in the arrest, and he did not resist arrest. Other protesters tried to keep up momentum in the Jardin Jean-Paul-L’Allier sector, but without much success.